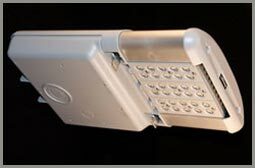 Light Kinetics distributes the BetaLED (also known as RUUD LED) range of LED Street, Highway, Parking and Area Lighting solutions. 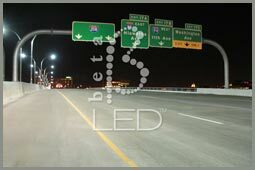 They are manufactured in the USA and Europe and are the largest manufacturers in the world of LED street and area lighting. 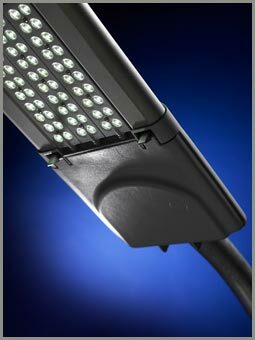 Further, due to the precise light shadow of our LED street lights, lighting designers are able to more easily design optimum pole spacing’s and in most cases reduce the number of street lights per linear kilometre over traditional HID offerings. 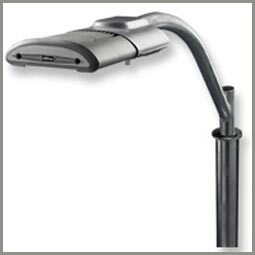 Additionally our LED street light solutions offer a significantly reduced degree of glare, due to their sharp light beam cut-off, significantly reducing light pollution and ensuring they are all “Dark-Sky” compliant. Of course the net effect of a correctly designed street lighting solution, using Light Kinetics LED street light products, are energy savings of upto 90% over existing HID solutions. Combined with a 20+ year operational life at 12 hours daily usage and a zero planned maintenance over this period, this translates into MAJOR savings to municipalities, property developers and owners, measured in millions of Dollars or Rands over the life time of the luminaires!